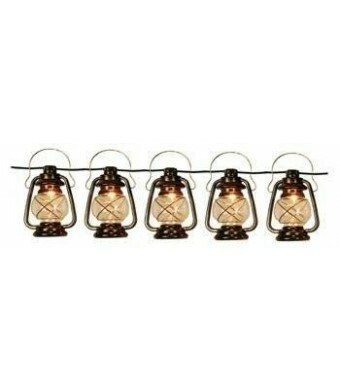 Great set of rustic looking oil lantern style patio lights. 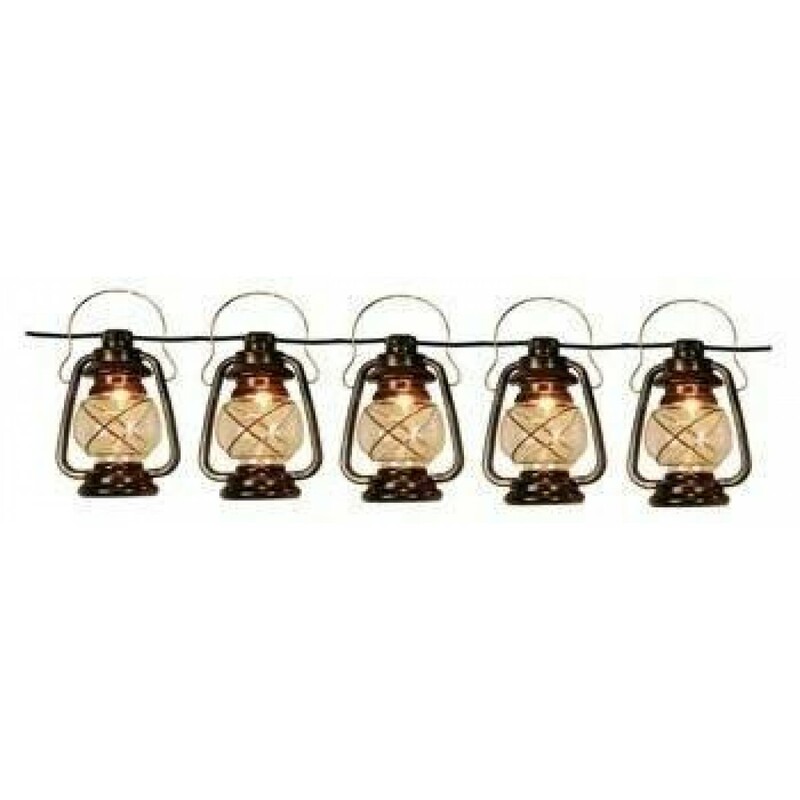 5 Lantern Lights with 12 foot electric cord. Order multiple sets to connect together for longer lengths. Uses C7 bulbs(included). 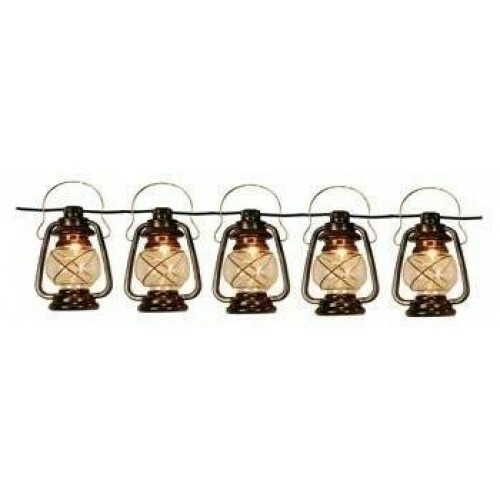 Great for RV's, Patios, Porches, Parties, BBQ's. Indoor or Outdoor use.